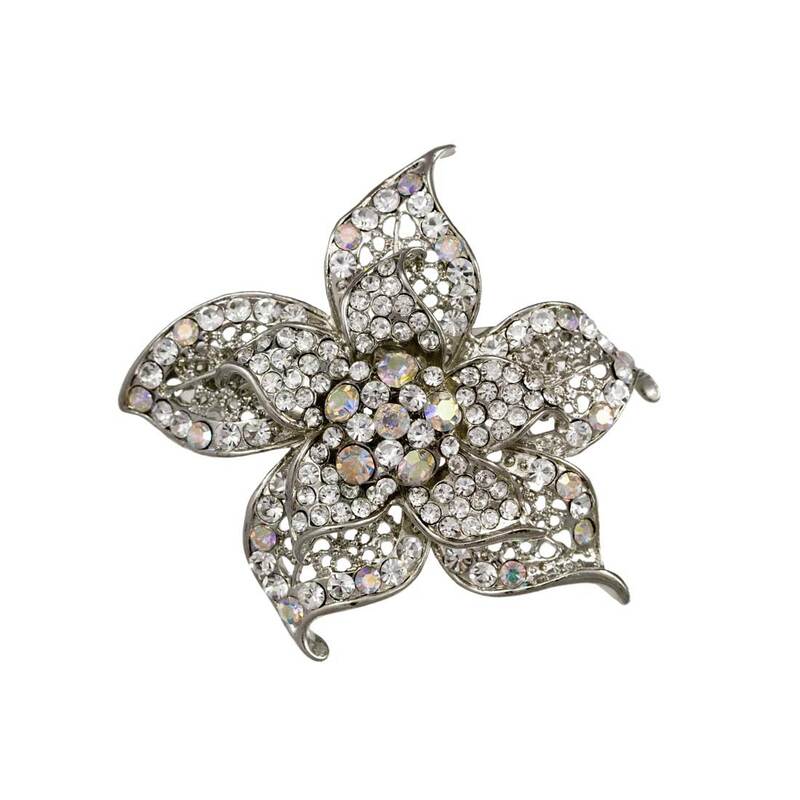 A statement tropical flower hair clip which is both dramatic and captivating. 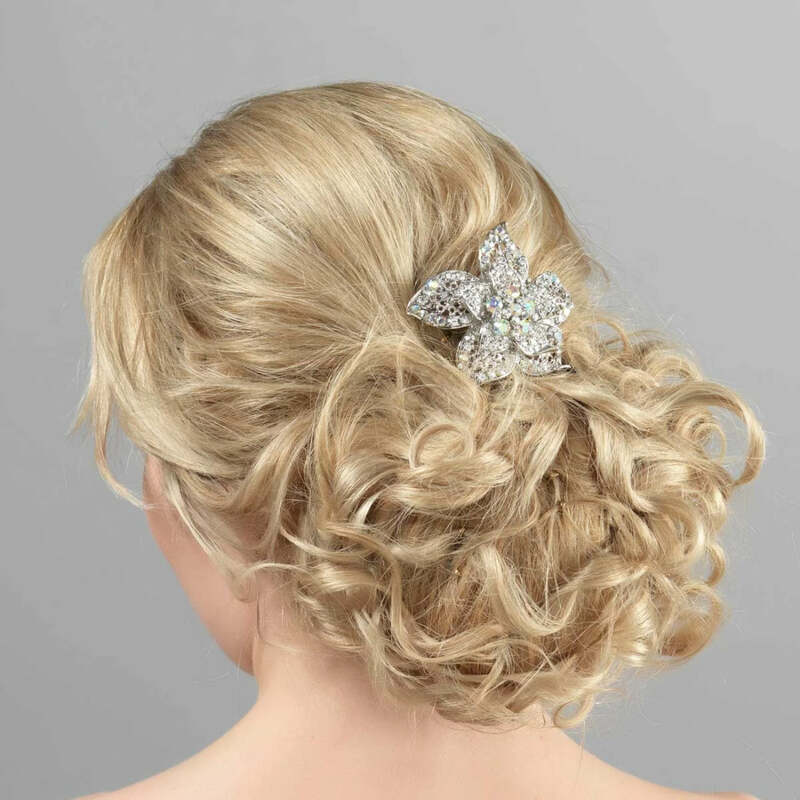 The sheer beauty of this tropical style hair clip is totally captivating. Featuring a double layer silver tone design adorned with clear and AB Austrian crystals, this is perfect for creating a romantic and timeless look. Wear pinned in a tousled chignon for effortless style or in loose waves. Perfect to wear to summer weddings instead of the customary hat and a simply divine wedding hair clip for brides and bridesmaids.